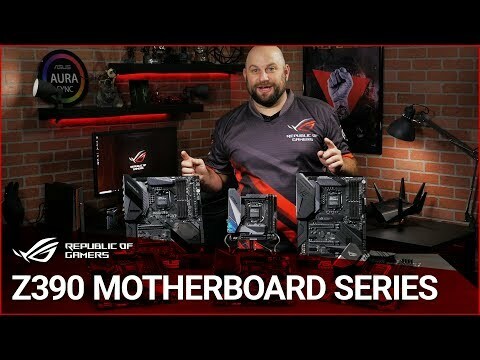 Next Level Reliability with ASUS Technology PRIME Z390 series motherboards boasts ASUS engineering and a dominant overall design for an excellent build. The Prime Z390M-PLUS features innovative hardware and firmware, ready to enhance system performance and provide maximum durability. With 5050 RGB strips connected to the RGB header, you can create your own stunning multicolour lighting displays for your setup with ASUS Lighting Control. Tune it Your Way Prime Z390 simplifies CPU overclocking with software and extensive tweaking options that give beginners and seasoned overclockers alike the tools to build well-tuned machines. A new memory trace layout provides stability and compatibility for both traditional DIMMs and RGB-infused memory, letting you pair a broad choice of DRAM kits with your build. Flexible Cooling Controls for Air or Liquid With Prime Z390M-PLUS you have comprehensive control over fans via Fan Xpert 4 or the media-acclaimed UEFI. Whether you are cooling with air or water, Auto-Tuning mode intelligently configures all parameters with a single click. Extreme Quiet mode reduces all fan speeds to below the default minimum assuring your system stays whisper-quiet when performing light tasks. Including EZ Mode & Advanced Mode The UEFI BIOS is an early waypoint on any PC-building journey, and Prime Z390M-PLUS offers one of the best in the business. Featuring Easy and Advanced Modes for quick and easy access to find the setting you're looking for. Fine-tune individual fans simply by dragging a curve with the mouse using intuitive graphical fan control. Discover useful settings for your setup with ASUS Technology. Including MemOK! II Automated Recovery To provide Intel's latest processors' unfettered access to memory bandwidth, we've reimagined motherboard trace routing from the ground up. Our OptiMem II tech carefully maps memory signal pathways across different PCB layers to reduce vias and also adds shielding zones that significantly reduce crosstalk. And to further enhance overclocking headroom for fully stacked memory configurations, we've employed a highly customized T-Topology layout that delivers time-aligned signaling. Supported by Prime z390M-PLUS Intel Optane™ is a revolutionary non-volatile memory technology supported by Prime Z390M-PLUS. Intel Optane memory modules accelerate attached storage to reduce boot and load times, so everything feels faster and more responsive. Ulimate speed 10GBPS with on-board USB 3.1 Gen 2 With backward-compatible USB 3.1 Gen 2 Type-A™, you'll experience ultimate connection flexibility and blazing data-transfer speeds of up to 10Gbps. USB 3.1 Gen 1 Front Panel Connector USB 3.1 Gen 1 is right where you need it, with four super-speed headers for the front panel. Experience data-transfer speeds up to 10X faster than USB 2.0 with instant plug-and-play connectivity, and avoid back-breaking contortions in the hunt for hard-to-reach rear ports. Brighten up your build A well-tuned enthusiast system deserves a matching aesthetic. With 5050 RGB strips connected to the RGB header, you can create your own stunning multicolour lighting displays with static, blinking, fading, and strobing effects. * The RGB-strip header supports 5050 RGB LED strips with a max power rating of 3A (12V). For maximum brightness, strip length should not exceed 3m. Intelligent design & premium hardware Discover sound quality unlike anything you've experienced before with special audio features on the Prime Z390 series motherboards. Audio shielding separates analog/digital signal domains, significantly reducing multi-lateral interference. A separate layer for left and right tracks ensures minimal crosstalk between audio paths. Designed with premium Japanese-made audio capacitors, which provides an immersive sound signature with exceptional fidelity. Maximum Power & Efficiency Prime Z390M-PLUS adjusts power delivery based on the number of power phases, optimizing power and efficiency for the latest Intel processors. Built to prevent connector failure Compared with traditional power inputs, ProCool sockets are built to tight specifications to ensure flush contact with the PSU power lines. This lowers impedance, which helps to prevent hotspots and connector failure. Trustworthy Stability and Compatibility Prime Z390M-PLUS is designed for builders who want essential ASUS reliability and performance. More CPU cores create power-delivery challenges, so Prime Z390M-PLUS has extra power phases and comprehensive cooling features for optimal performance. DRAM Overcurrent ProtectionOn-board resettable fuses prevent overcurrent and short-circuit damage. This extends beyond I/O ports to DRAM to safeguard the lifespan of your system and connected devices.